The Heated Humidifier for the DreamStation Go keeps therapy air moist and is designed to use ordinary tap water, bottled water, or distilled water. This is welcome news for anyone who's ever run out of distilled water right before bedtime. Distilled water is still the preferred water to use with the DreamStation Go Heated Humidifier, but in a pinch, both bottled and tap water are acceptable too. If traveling with the complete DreamStation Go setup, adding the optional Medium Travel Kit for the DreamStation Go will ensure the machine and humidifier fit into the same case. Just pack it in, and you're ready! The hose connection on the humidifier is compatible with the micro 12mm DreamStation Go tubing, slim 15mm tubing, or standard 19mm tubing. The DreamStation Go Heated Humidifier is possibly the most advanced heated humidifier on the market today, with smart features solely focused on your comfort, the modular design allows easy connection to the machine while keeping a low profile. It is designed to work with only the DreamStation Go, and cannot be used with any other machine. One of the best features for this device is the ability to use bottled or tap water in addition to distilled water, meaning there's less to pack and no need to lug around a water bottle every time you travel. Distilled water is still the best to use, but there's no problem with using bottled or tap water occasionally. Intended for Use With Tap, Bottled, or Distilled Water - Get Through Security Fast! For added convenience, the DreamStation Go Heated Humidifier's advanced design allows it to handle the minerals and impurities found in regular tap water and bottled water. 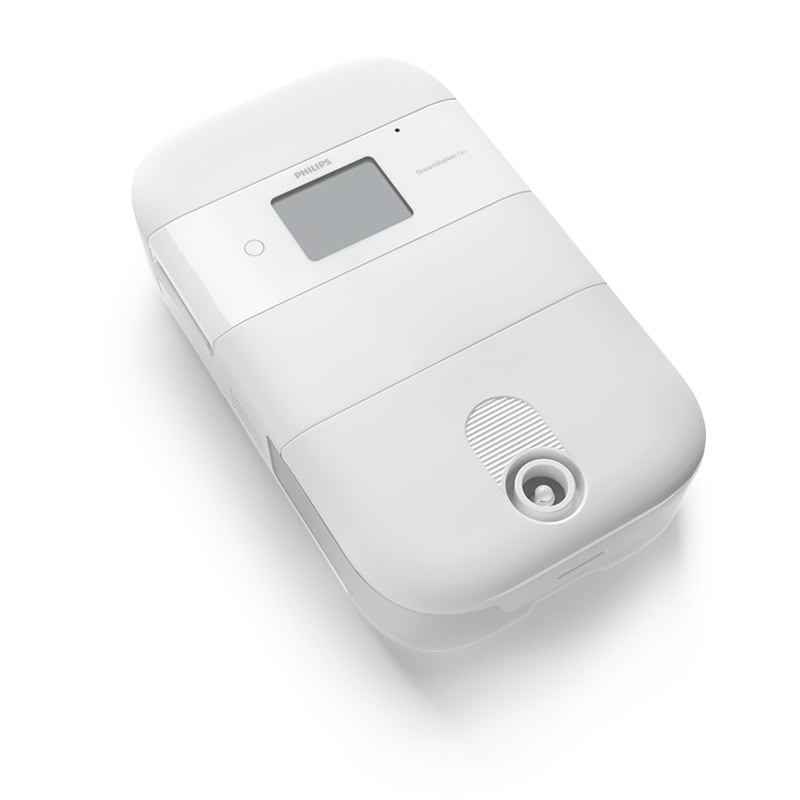 Most CPAP machines have a difficult time when given tap water, but many people still use it because it's in every home. Distilled water isn't readily available, and it's only available in certain stores. The DreamStation Go Heated Humidifier solves this exact problem and allows you to use bottled, tap, or distilled water when on the road. For safety reasons, do not use carbonated water or flavored water, or water with dyes or coloring. Distilled water is still the preferred type of water to use with the DreamStation Go Heated Humidifier, however occasional use of tap or bottled water is acceptable. Tap water will still leave the same residue behind and will still require the same attention during cleaning. The Heated Humidifier adapts the design of the DreamStation Go so it can work with 12mm, 15mm, or 19mm tubing. If you're traveling and you can't bring (or don't have) the tubing that comes with your DreamStation Go, you don't have to worry. If you use the DreamStation Go Heated Humidifier, you can connect to almost any sized hose. This device features intelligent features like auto-adjusting heat and humidity by monitoring ambient humidity and adjusts the temperature of the heating plate for optimum comfort. The heating plate turns off automatically to ensure the device is not heating without an adequate amount of water present. 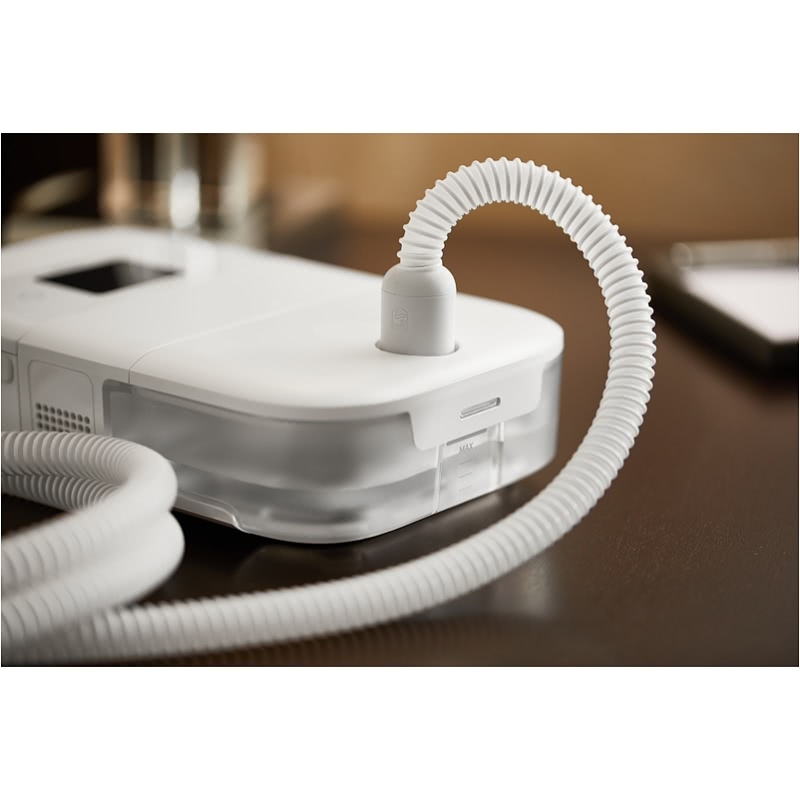 The DreamStation Go Heated Humidifier is only compatible with the DreamStation Go CPAP machines. It is not compatible with any other machines. Before using your new Heated Humidifier, you'll need to program the DreamStation Go to recognize it and activate the controls for it. This is done by updating the firmware, using an included microSD card. 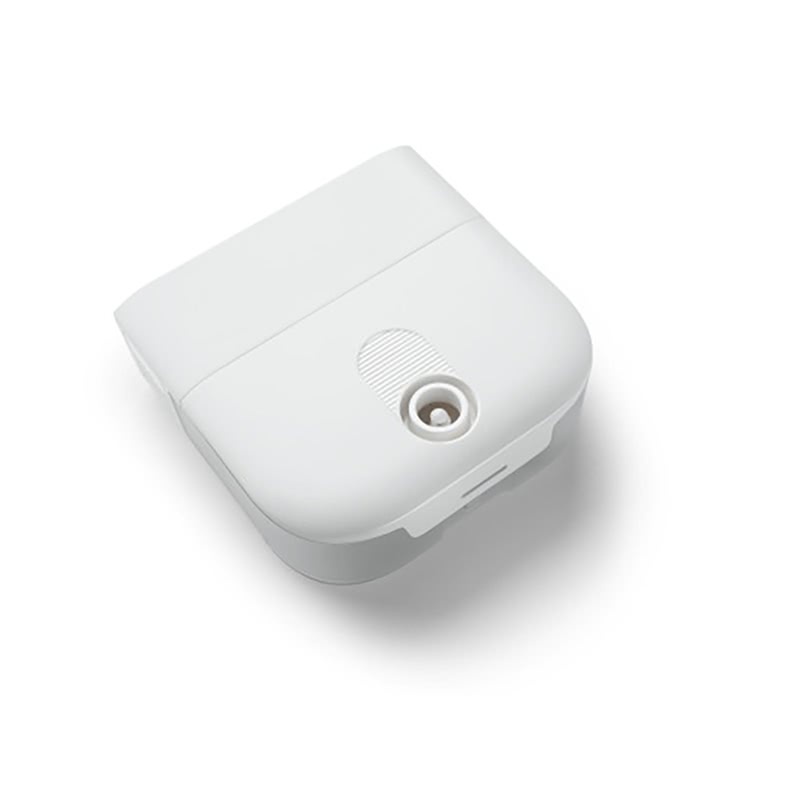 Philips includes the instructions for how to do it with the microSD card. Insert the supplied microSD card into the slot on the left side of the DreamStation Go. Do not connect the humidifier first, as this will result in an error. Ensure the card is fully engaged by using the filter to push the card into the slot. Power on the device and wait for the upgrade screen to appear. This could take anywhere from 10 seconds to 3 minutes. The message will default to the "No". You'll need to swipe to the "Yes" option. Select the "Yes" option, and the firmware update will take place. Once the firmware update is complete, you can connect the heated humidifier to the DreamStation Go. Remove the outer panel by pulling it from the side that has the hose connection. The outer panel should come off with a fair amount of pressure. Make sure the therapy device and the humidifier are lined up correctly. The humidifier should connect to the machine in the same spot that was covered up by the outer panel, with the curved edges of the humidifier facing away from the machine. 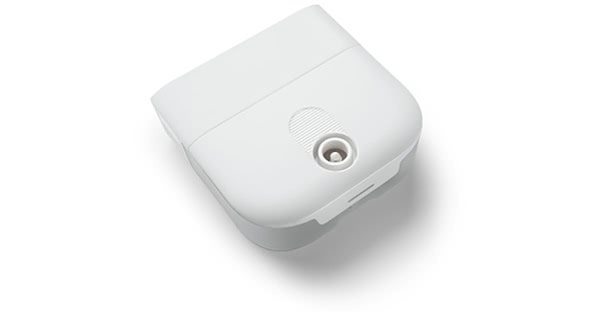 Connect the two devices by sliding the DreamStation Go into the small opening near the front of the Heated Humidifier until they snap into place. PLEASE NOTE: It is not possible to use the humidifier and the battery at the same time. The DreamStation Go only supports one or the other, but not both. Unplug the DreamStation Go from the wall. Remove the humidifer chamber from the humidifier. Find the latch on the bottom of the humidifier. Slide it and pull the humidifier away from the DreamStation Go machine until the pieces separate. On the homescreen, tap the humidifier icon in the lower left-hand corner of the DreamStation Go. It looks like three vertical wavy lines. The arrows to the left and right increase or decrease heater temperature. Cleaning the humidifier chamber is a little different on this model than it is on other CPAPs. The bottom and top pieces of the humidifier tank separate. The bottom piece is dishwasher safe, but the top piece is not. WARNING: Placing the entire humidifier chamber in the dishwasher could result in damage or loss of the item. DO NOT place both pieces in the dishwasher. Here are the steps for cleaning the humidifier chamber. Separate the two pieces of the humidifier. Wash the bottom with warm, soapy water daily. Once a week, you can wash the bottom of the humidifier in a dishwasher. When finished allow the tank to air dry. Wash the lid with warm, soapy water. Do this once a day. Do not place in the dishwasher. The lid has extra pieces that need washing too, such as the hose connection. Be sure to clean all parts of the lid with warm soapy water. When finished, allow to air dry. Please remember to drain all water from the humidifier before transporting. The machine is not waterproof, and transporting with water can cause damage to the humidifier and the machine. The humidifier can be transported safely while connected to the DreamStation Go in the Medium Travel Kit and the humidifier is empty and dry.